The High Performance Program serves the elite group of players. 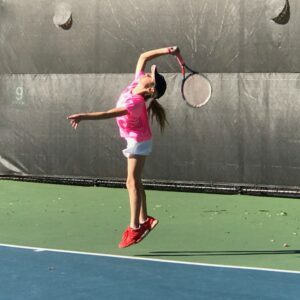 The High Performance group has Division 1 tennis and professional aspirations. 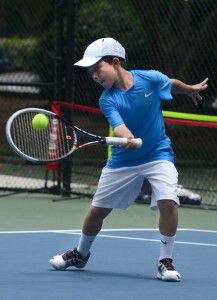 Players must have a UTR rating of at least 8 or be approved by Coach Calin Constanceanu. To apply to the program, please contact Coach Calin at 678-457-1556. Our After-School Academy Program runs 8 week sessions that include a 1 week break at the end of each session for rain/weather makeups and time to plan/adjust for the next session. We offer Physical conditioning in conjunction with our Academy Program. Our drill day/time is 4:45 to 7:15 pm Tuesday and Thursday and 5:00 to 7:00 pm on Monday and Wednesday. Physical conditioning takes places Tuesday and Thursday. Our High School Group meets on Tuesday and Thursday from 6:15 to 7:45 on Tuesday and Thursday. The cost for Tuesday and Thursday is $680 and $910 for Monday/Tuesday and Thursday or Tuesday/Wednesday and Thursday for the eight week session. The cost for all 4 days is $1150. The fee for the High School group is $480. The fees are payable with cash, check, online check or Zelle. We charge a surcharge for payments using a credit card. For invited players, for the current season, select “register” now to complete the registration process.